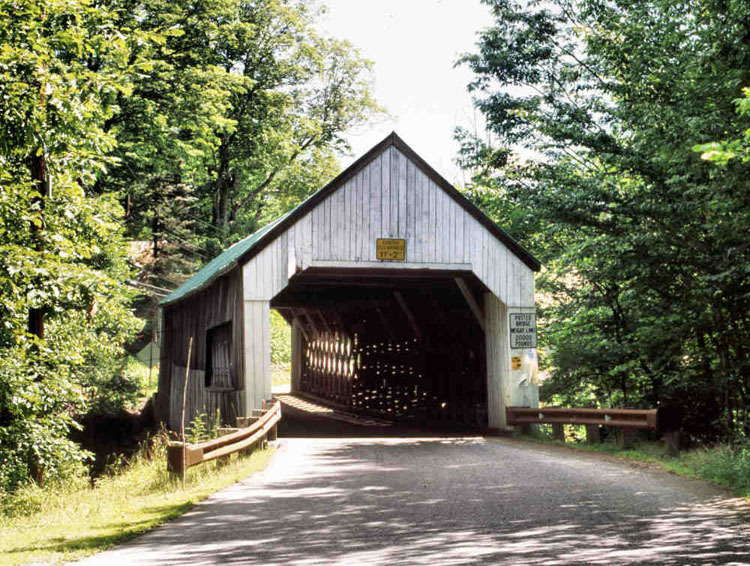 The Williamsville Bridge is the last of the seven covered bridges that once graced Newfane's countryside. Historian Victor Morse wrote that the portals were painted white as a night-time aid to automobile lights. Our thanks to the Town of Newfane for allowing the posting of the Vermont Covered Bridge Society Welcome patch. For more information about the Newfane area visit their website at http://newfanevt.com. 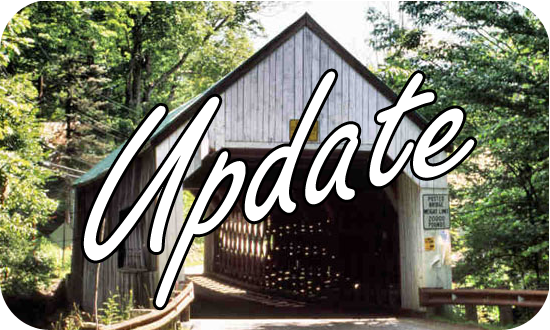 Thought to have been built circa 1860, and years of reconstruction since, state bridge inspectors determined that the Williamsville Covered Bridge should no longer be asked to support emergency vehicles. 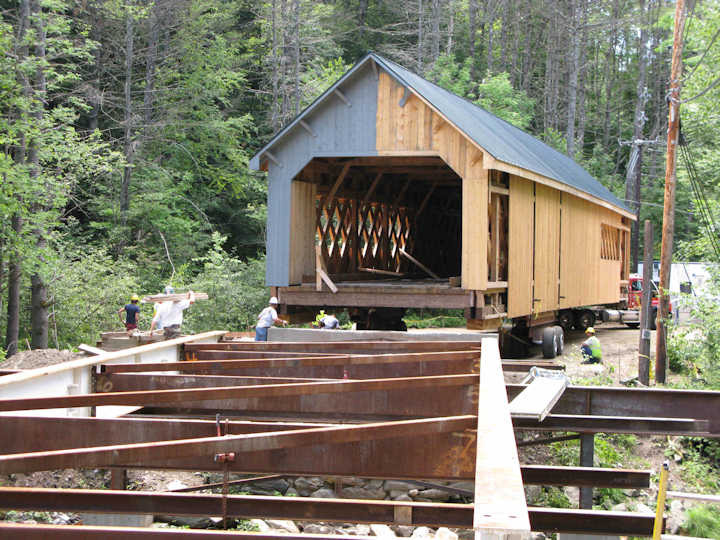 After years of discussion as to whether to replace the bridge with a modern concrete and steel span, or reconstruct the ancient bridge again, the town accepted the state’s proposal to replace it with a replica capable of carrying modern traffic. Construction of the new bridge began in late November 2009. The old bridge was taken down in July, 2010, and the new bridge placed over the river on August 2, 2010.